Boiled the potato and mash it using masher. To the mashed potato add 1tbsp of butter and mix well. Butter gets melted in hot mashed potato. Else you can heat the butter into the pan and can add mashed potato . Then to the mixture add tomato ketchup and dabeli masala powder. Mix well so that dabeli masala mixes well with mashed potato. If required you can use more dabeli masala powder as per your preference. 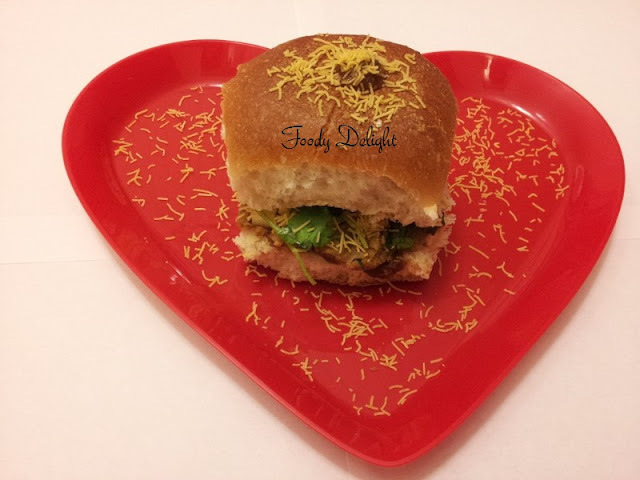 Dabeli stuffing masala is ready. Slice the pav in two equal parts.Apply the butter on both the sides of the pav slices.Fry them. Place one pav slice on serving plate. Spread the garlic chutney on the pav slices. On that spread dabeli stuffing masala evenly. On that place roasted peanut , finely chopped onion and fine sev. If you want you can again spread a little garlic chutney. Then place another pav slice. 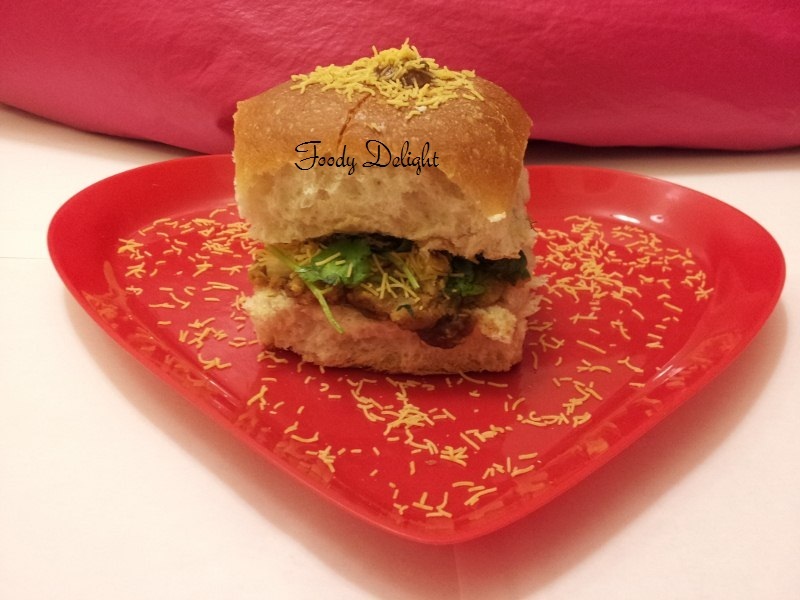 Dabeli is ready to serve. dabeli is something i have wanted to make a long time since i tasted this in ahemedabad..but im in delhi and how do i get dabeli powder????? I feel you will find dabeli masala powder in Delhi .Just check it. Am not sure...tried asking some shops...but no success....is there any alternative? ?